In a small village near Xuan Thuy National Park in Vietnam, Pham Thi Kim Phuong bikes seven kilometers every morning to the mudflats by the park’s mangroves. There, she joins hundreds of other women who take advantage of the early morning low tide to manually gather clams and snails. The mudflats where Pham works are part of a protected area and since 2013, an initiative to strengthen park management has engaged local women in co-management of the mangrove forests. Women and men living in and utilizing protected areas differ in their relationships to their ecosystems; they have differentiated roles and responsibilities, unequal access to and control over resources, unique knowledge bases and unbalanced participation in decision-making processes. Gender inequality in biodiversity conservation and management restricts women’s access to benefits, perpetuating poverty and undermining sustainable resource use and management. However, gender equality in this field is rarely measured or written into policy. To begin addressing this, the International Union for Conservation of Nature’s (IUCN) Environment and Gender Information (EGI) platform recently undertook a study looking at women’s participation in the conservation and management of protected areas. A protected area is defined as a “a geographical space, recognized, dedicated and managed through legal and other effective means to achieve the long term conservation of nature with associated ecosystem services and cultural values.” One of the challenges faced by conservation initiatives is to create spaces, such as protected areas, that will simultaneously meet both conservation objectives and human development. Using reports produced by countries to the Ramsar Convention and the World Heritage Convention, two widely ratified treaties that govern management of thousands of protected areas worldwide, the EGI analysis aimed to define the frequency, context, and tenor of mentions of gender considerations and women’s participation in these documents. Findings show an extremely low frequency of gender keywords used in reports to both conventions: of the 1,290 World Heritage Convention State of Conservation Reports analyzed, for example, only nine gender keyword mentions were found, and the keyword was the same for all references—women. While these reports have a fairly limited scope, focusing primarily on conservation issues, they are a major reporting mechanism for the World Heritage Convention, and only when the roles and needs of both women and men in management plans and subsequent reporting are included and recognized will effective inclusion and, therefore, effective conservation, sustainable use and management of protected areas occur. A woman representative of the indigenous (San) community in the village of Khwai at the edge of the Okavango Delta. Protected areas are conservation instruments created to protect a country’s natural resources, but protected areas should also constitute important tools for equitable, sustainable and rights-based development among the populations settled within and around protected areas. The Ramsar Convention and the World Heritage Convention have established some of the first internationally agreed-upon practices for conserving biodiversity through protected areas, however progress towards gender equality is still lacking. When gender keywords were mentioned in these reports, they most frequently characterized women as beneficiaries. Nearly half of the reports that contained gender keywords discussed women as stakeholders on management committees or as one of many subgroups that were recipients of education, livelihood, and public participation programs. Only 12 reports (0.7% of the total reports examined) discussed women’s capacity to drive environmental and policy change. A strong example of explicitly including the role of women in protected areas can be found in the Ahwar of Southern Iraq, a biodiversity refuge and relict landscape of ancient Mesopotamian cities. References to women were specifically included in the nomination for World Heritage status, including the effects of Mesopotamian marsh desiccation on the cultural knowledge and livelihoods of women and a focus on the level of disadvantage and poverty that exists within local communities, noting that the highest levels of illiteracy in Iraq is among women. To counteract some of these issues, gender-responsive recommendations for the site included a program that would focus on a rights-based approaches to management; would recognize the customary use of the land; would ensure an adequate level of protection and effective management capacity; and would include appropriate capacity building activities, specifically support for maintaining local women and men’s traditional ecological knowledge. Recognizing women’s profound knowledge of natural resources and their potential as agents of change for sustainable development—not to mention their human right to participate in every level of decision-making—can simultaneously increase the effectiveness of conservation efforts, while also meeting commitments to women’s empowerment and gender equality. An inspiring example of this can be found in Australia’s 2012 Ramsar Convention National Report that stated how research from a catchment management authority revealed that women were often the driving force behind environmental conservation activities on farms. In response, the catchment management authority sought to harness this interest, build knowledge and capacity and empower farm wives to undertake wetland conservation through an annual “Chicks in the Sticks” event. Policies governing biodiversity conservation have historically not prioritized gender equality, and as a result, women are often excluded from participation in the planning, implementation, decision making and benefits of conservation policies. This not only halts the progress of women’s empowerment, it devalues their contributions toward conservation efforts. 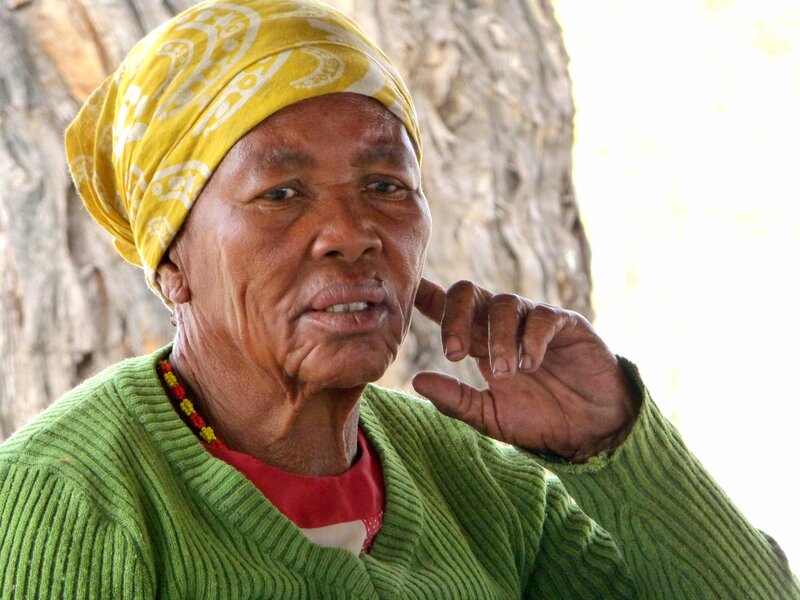 Greater detail in reporting and establishment of mechanisms that measure cumulative progress toward equal participation of women could help improve the understanding of gender equality in protected areas conservation and management. Gender-responsive conservation can only occur when policies and programs that seek to achieve biodiversity conservation success explicitly take both men’s and women’s opinions, needs, and interests into account.